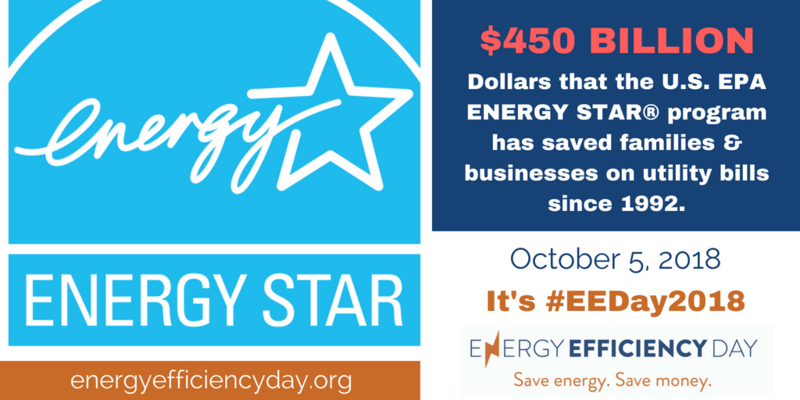 CCH Supports Energy Efficiency Day! Starting with the NYSTAR program in the early 90’s, Cayuga Country Homes has been a leader in building practical, affordable, sustainable energy-efficient homes. Building new? Give us a call today and we can help you save $$ on energy by building smart. The propane association just posted a helpful article about maintenance of tankless water heaters. This is a service Cayuga Country Homes provides and it helps keep these systems running safely and efficiently. Tankless water heaters can last twice as long as tank-style units with proper maintenance, which is especially critical in areas with hard water and for units with high usage. While working at a client’s home, we were asked to help find and fix a gas leak. At first it looked like the gas supply would be turned off by NYSEG until complicated repairs were made and verified. Safety always comes first and since it’s warm weather now the client can manage without heat, BUT this home also has a Catering Kitchen with big ovens and stoves and today begins preparation for a large event. We were told turning off the gas for a long time is simply not an option. NYSEG came quickly and after finding the leak, which was a severly cracked gas valve, we were able to turn off the gas and remove the bad part, capping the pipe so the catering kitchen could get back to work. We were able to fix another small leak at the water heater quickly too. The picture below shows the dramatic failure of the gas valve, a large crack, which is something we don’t see often, especially years after installation. BIG THANKS to lead man Dan and his trainee from NYSEG who were very thorough in finding the problem and helping find a good fix. We were very happy we could help our client stay safe and keep the kitchen humming along. This incident prompted us to share some tips with you about gas safety in your home. The links below are focused on Natural Gas, but the same safety principles apply to Propane and you can contact your Propane Gas supplier for more helpful tips. At Cayuga Country Homes, we encourage every homeowner to inspect your gas pipes and equipment once or twice a year. We also have an electronic sniffer that we use to check gas lines when we are working on equipment – it’s a great way to find small leaks and fix them before they become BIG leaks. Good advice on what to do when you smell gas. Click Here for a great video showing how to turn of a Natural Gas valve. Modular, Mobile, Stick Built…What’s in a Name? They are the same. “Stick-built” refers to wood construction with dimensional lumber like 2×4 and 2×6 walls. The modular homes Cayuga Country Homes constructs are stick-built with the same materials used for a site-built home. So a better way to think about it is SITE-BUILT vs OFF-SITE. Our modular homes are built off-site, in a climate controlled factory, protected from the weather, using the same materials a site-built home would use. We build both site-built and modular homes and use the same materials in both. To most of us, a “manufactured” home would be something that is partially built before it gets to the building site, like a modular home is. However, in the world of real-estate a “manufactured home” specifically means a home the is built off-site to the HUD building code. The HUD code is a federal minimum code for performance. HUD code homes require a steel frame chassis and most people think of these as “single-wide” and “double-wide” homes. Manufactured or HUD-code homes use very different materials than a typical modular or site-built home and in some cases you will actually see a label in the home warning you that the materials used can be hazardous to your health (remember the trailers FEMA provided that made people sick? Some of them were HUD-code homes). In addition to different materials, the standards are totally different than the state-specific codes for modular and site-built homes, which allows them to have lower-cost assemblies for roof, floor, wall and other systems. They are not as strong or durable, because they don’t have to be. While manufactured homes are built to the HUD code, site-built and modular homes must meet the New York State Building Code or New York State Residential Code. These are building standards for safety, performance and energy efficiency. These standards are very different that the HUD code in many ways and it’s difficult to provide a detailed explanation because the codes are totally different in terms of their goals, how often they are updated, how the standards are set and more. The HUD code is specifically designed to allow lower-cost housing, while the state-codes are include higher-standards with the intention of longer-lasting homes. Generally speaking, the HUD code allows for cheaper construction with different requirements and materials than you would expect in a conventional home. In addition, while modular and site-built homes tend to go up in value over time and can be financed with a conventional mortgage, manufactured (HUD code) homes tend to go down in value over time (like a car does) and are financed differently. A well-built modular home is stick-built, it’s just assembled in a factory, not at the job-site and meets or exceeds the standards of a home built from scratch on the building site. They are they same in terms of code requirements and financing. HUD code homes save money by factory production and lower cost materials and assemblies. Modular homes save money by efficient factory production and volume-buying using the same quality of materials as a site-built home.